The war of words in the Malayalam film industry, involving veteran actor Thilakan, Mammootty and Mohanlal and others, continues unabated. Malayalam movie industry, which has served more controversy than profits in recent times, has plunged to a new low with a squabble in which the choice of words are more appalling than some that are spoken on screen. As time goes on, actors grow bigger and bigger. From star to super, to super duper to mega and then magna star and along with this come the innumerable accolades they receive from organizations, some of them from the so called fan clubs. Their qualifications are getting longer with titles of Bharath, Lt Colonel, Padmasree, Doctor and what not. I don’t think there is any other country in the world where film actors are bestowed with so many titles. I haven’t heard any of the Hollywood actors being named, Megastar Anthony Hopkins or Superstar Tom Hanks and the like.. They are simple actors and professionals...And also, the actresses who probably make more sacrifices in to their stardom are nowhere near. It is a male dominated world, where women are treated to whims and fancies of the heroes and directors. Social critic Sukumar Azhikode has been hinting that it is high time that the leading stars of Malayalam stepped aside in deference to their age and girth, and the comment has brought the writer into an open confrontation with Mohanlal, with the Thilakan issue acting as the trigger-point. 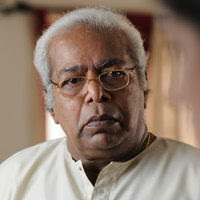 Piqued by Mohanlal’s tart comments, Azhikode reminded the actor that he was himself ageing and that if some of his nubile heroines saw him without makeup, “they will faint”, and that he should take a leaf of the books of Tamil stars like Rajnikant and Kamal Hassan and go around without makeup. Azhikode alleged that the superstar's frantic attempts to regain his fast disappearing youth fans by fixing wigs and makeup, will not work for a long time. The orator further added that an iota of goodness was needed in the heart as well, not just in the characters that he portrays. Stating that it is high time for the star to stop acting in young characters Azhikode said “Mohanlal's popularity will end when he stops acting. However my forty books, that are a reflection of my soul, will stand the tests of time". Mohanlal had said that Azhikode has not written a book after 'Thathwamasi'. Azhikode retaliated by saying that this was because it was such an enormous philosophical document. It is impossible to write books continuously, since writing is different from acting. He also compared the actor to a donkey carrying saffron, without knowing what the real value of saffron was. Azhikode was referring to Mohanlal's comments on 'Thathwamasi' and he said that Mohanlal was talking about the book without even having a clue as to what the book was all about. Though Azhikode has no right to comment to the personal appearances of these stars, it is also apparent that these actors are overdoing it. And there was no need to compare his own capabilities to those of these so called stars, thereby lowering himself. Our superstars forget that they are getting old, and refuse to give way to younger actors, and form mafias to rule the film world. Mohanlal obviously has lost the actor in him ( from the days of Kireedom and T P Balagopalan) to something like a giant robot, with mannerisms and gestures that are disgusting, language that makes you shudder and doesn’t hesitate to run around trees ,making comic dances with girls young enough to be his daughter. Mammooty has a tiny difference, and appears to improve his acting talents over time but forgotten to realize that his dances have become comedy shows. Soon the other intelligent stars have joined the war, forgetting their long standing differences, like Ganesh Kumar, Innocent and the clan from Amma. Azhikode also made fun of Innocent for having suggested that his language was bad. He said Innocent was the second person who said so. 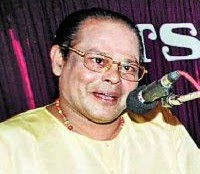 The first person was Kuttikrishna Marar. On Marar's advice he had tried to improve his language that has become a good one. However during the last week, it has deteriorated again, because of his interactions with people like Innocent!! Wise men talk because they have something to say; fools talk because they have to say something. The moment some people open their mouth, their ignorance is revealed. But what about the artist's responsibilities as a human being? Picasso was a woman-beater. Mel Gibson is an anti-Semite. Oscar Wilde was a homosexual. . Roman Polanski drugged and raped a 13 year old girl. All of them have intrinsic things about them that are wrong/evil. Should we then not to see their movies or read their books? Appreciation of the work of an artist should not be decided on the parameter of his moral character or social credential. To simplify one should separate the art from the artist. At the same time,not forgetting thay are part of the society they live in, and have social obligations too. Our artists do not seem to have any moral responsibilities. They creep in to each and everything we do. They sell us anything from Puttupodi and liquor to drugs for asthma and impotence. In the greed for money, they forget they are misusing the love and trust the ordinary man has given them. Keep them at places they deserve, and don’t let them teach your children obscene language, which they learn faster. These are not people to be kept on pedestals, but on the level ground they belong to, and you stand on. If you appear to enjoy obscenity and vulgar language, you get more of them. In essence, the society gets what it deserves. @ anonymous...yes that is the issue. We over do in our admirations, which often are undeserved.And dont u feel these actors are overplaying? 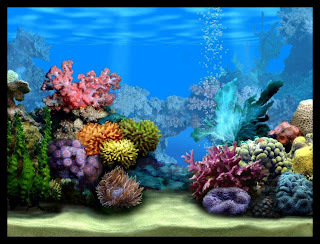 @ Krishna..thanks again.I watched the link. The problem is the heavy headedness of the actors. Who are Lal and Innocent against Thilakan? 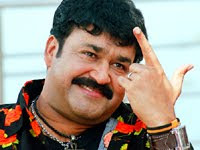 And dont u think Mohanlal has decayed as an actor?